Yuyao Vertec Security Electronic Technology Co., Ltd.
Q: Can you help container loading for consolidation A: Yes, we can also help make loading plans. We have a full set of equipment, covering the entire production flow, so that we can manage the production cost and product quality. One mission we had in our mind is to give our customers quality products, competitive prices and unparalleled service. 7.quality is our culture ,with us ,your money in safe and your business in safe Great Roc is a young enterprise focus on supplying various smart accessories for mobiles ,tablets ,laptops and smart electronics. With more than 8 years OEM and ODM experience,we got a very professional R&D team which could realize your idea and specifications on paper easily and turn them into the specific goods together we are always ready to provide you some fresh ideas . Q5: What payment method can your company accept9 A5: We can accept , Paypal, West Union, T/T , alibaba trade assurance online ,cash etc. is a collection of acrylic products design, development, production and sales in the integration of large enterprises. 4. Easy to Clean You simply need a piece of soft cotton cloth and soapy water to clean Acrylic products. 2. Fast Shipping Most of our products are managed to produce 10 working days after receiving the deposit. Above diagram demonstrates time and effort devote in each stage when we create each floor tablet stand. Team Building: Come and meet our structrural and graphic designers for each creative floor tablet stand. 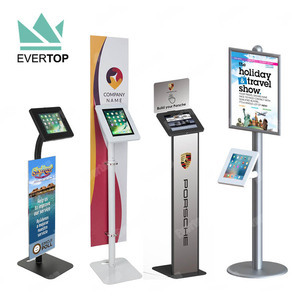 *What types of products do you offer9 We offer floor tablet stand for supermarkets and retail stores. after receiving balance then we will arrange nearest shipping date. Usually there are 2 types of B/L- original and telex release, whatever you want! You can clean custom by yourself or ask your agent to clean. Alibaba.com offers 2,362 tablet floor stand products. About 17% of these are display racks, 12% are mobile phone holders, and 11% are other computer accessories. A wide variety of tablet floor stand options are available to you, such as metal, plastic, and metallic. You can also choose from free samples, paid samples. 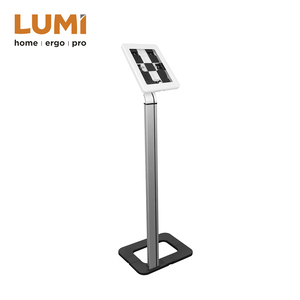 There are 2,381 tablet floor stand suppliers, mainly located in Asia. The top supplying countries are China (Mainland), India, and Taiwan, which supply 97%, 1%, and 1% of tablet floor stand respectively. 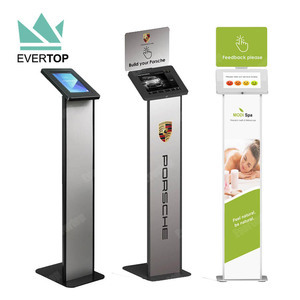 Tablet floor stand products are most popular in North America, Western Europe, and South America. You can ensure product safety by selecting from certified suppliers, including 497 with ISO9001, 392 with Other, and 71 with ISO14001 certification.